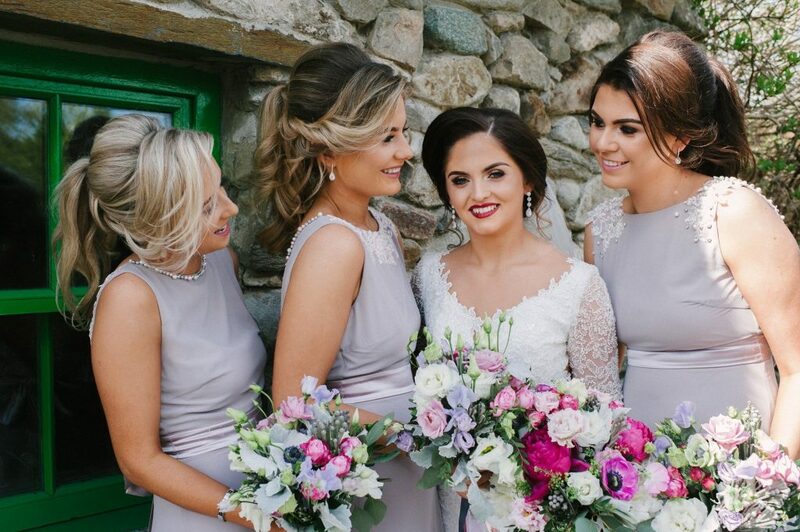 I caught up with Cathy, one of our brides from 2018 who shared her favourite wedding suppliers and how she found the wedding planning experience along with some tips for your big day! Michael proposed to me on our 7 year anniversary. We went to Ramore Wine Bar, followed by a walk along the strand. Little did I know I would be leaving with a ring on my finger! It was such a shock lol! Where did you start with the planning? I didn’t know much about weddings, however, one day I was looking in Local Women Magazine and noticed The Glenavon Hotel were holding a wedding fair. Michael and I decided to go and have a look around and from that day we loved it! We did look at other venues too but The Glenavon was definitely our favourite of them all. The staff were so friendly and helpful. Nothing was a bother to them and our wedding day ran so smoothly. We couldn’t fault a thing! Who did you choose as your photographer? We chose Denise Leacock Photography. I had noticed her photographs on Facebook and decided to snoop some more! 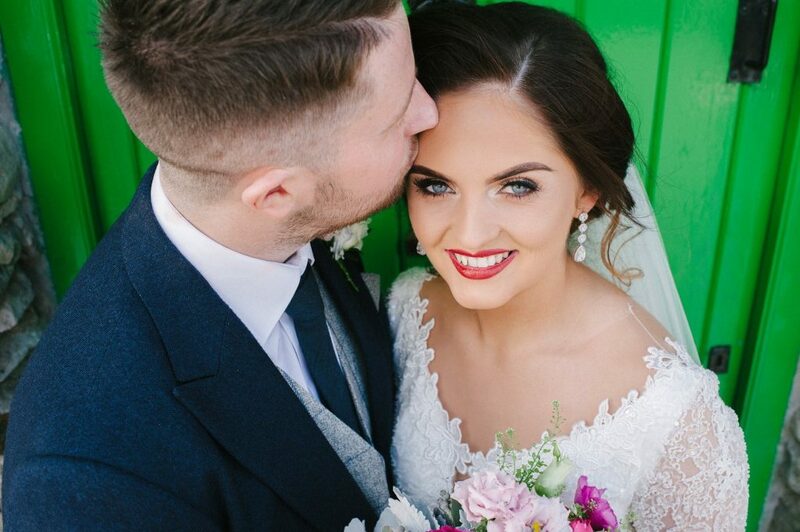 We went to see her at a wedding fair and fell in love with her photographs even more. I loved her style of photography – it was exactly what I wanted. We met up a few times leading up to the wedding and it felt like I was having a chat with one of my friends, she was just so down to earth and friendly. On the morning of the wedding Denise snapped away and you wouldn’t have known she was there! 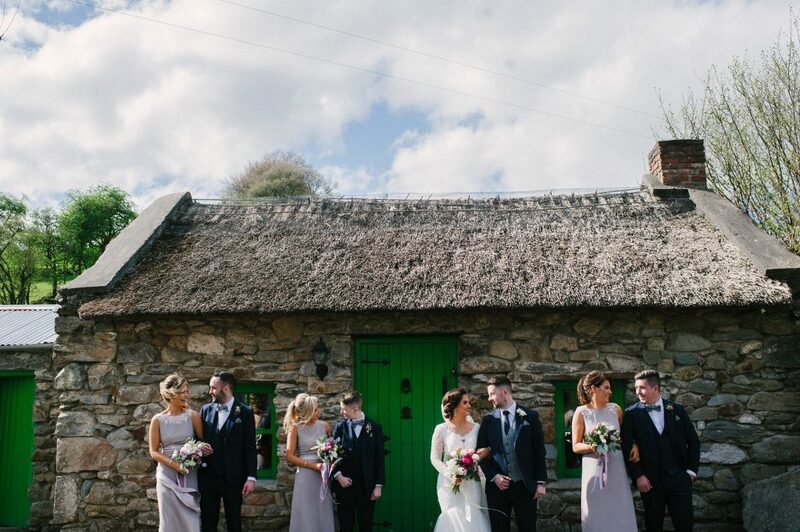 Denise is so friendly and funny, she made Michael, myself and our bridal party feel so relaxed and at ease. The craic was 90 with Denise!! What about your flowers, they were beautiful? 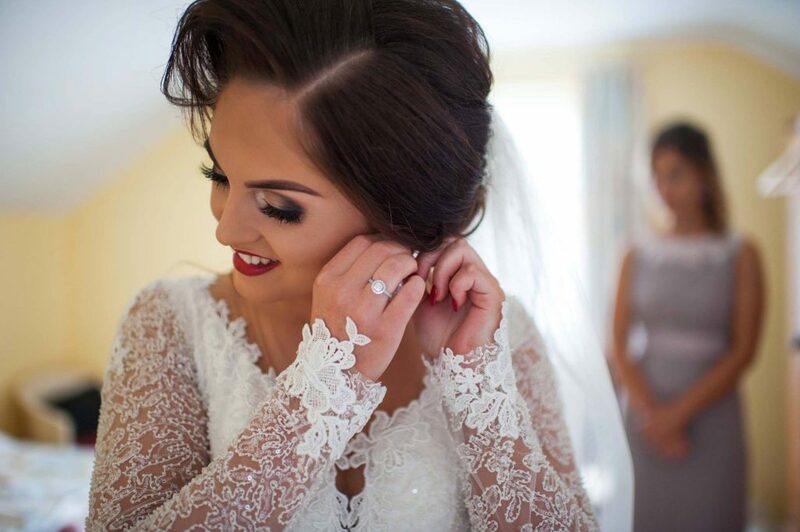 Nikki Dunlop, Portglenone. Again I saw Nikki’s work on Facebook and knew straight away I wanted Nikki to do my wedding flowers. I called over to her shop and we had a chat about what I liked and what I wanted. Nikki gave me plenty of suggestions and was so helpful. Nikki was also so friendly and nothing was too much trouble. 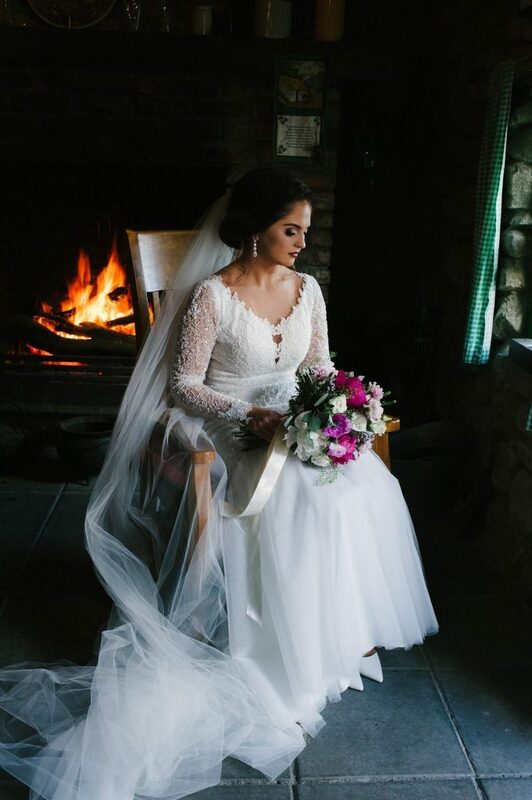 I loved my flowers on my wedding day! They were exactly what I wanted. My mum did the flowers in the chapel with Nikki supplying the flowers which was so special. Nikki gave me lots of ideas and made the experience so enjoyable. Infinity provided our entertainment, they are from Dungannon. These guys were at the wedding fair in The Glenavon and we got chatting. They seemed to be on the same level as Michael and I. They knew the craic and how important it was to get the crowd up and going at a wedding. We went to listen to them play in Granny Annie’s and they did not disappoint. The atmosphere was amazing and the crowd was buzzing. Just what we wanted in a band for our wedding guests. They lived up to their word on our wedding day, the dance floor was going all night, it never emptied. They were brilliant! You all looked stunning, who did your hair and make-up? For hair we had Rebecca Mulholland from Castledawson. Rebecca is fantastic. I knew she had a lot of bridal hair experience so I left it in Rebecca’s capable hands on the morning of my wedding. My hair didn’t budge at all and lasted all day. Caoimhe McGlinchey from Bellaghy had done my make-up several times before and every time I loved it! Caoimhe is brilliant at her job and so professional. My make-up was perfect, it lasted all day and I did’t have to touch it up at all. And of course, the cake? I am a keen baker and I love cake so there was always going to be cake!! 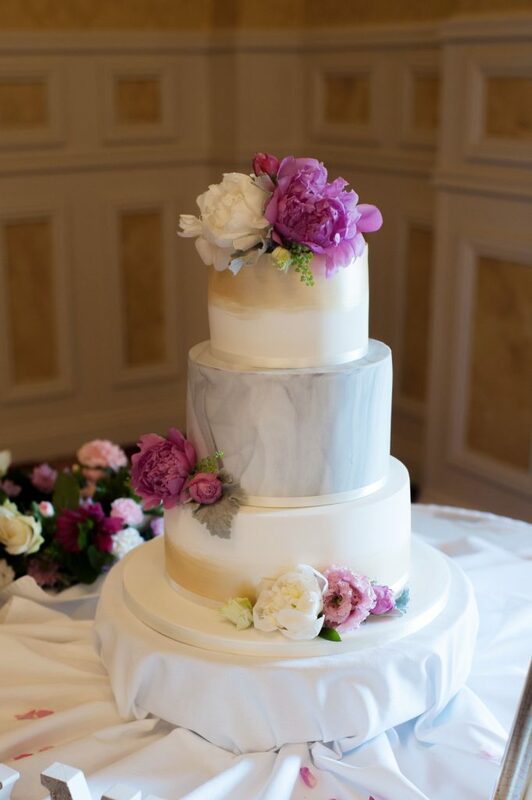 There was no way I was going to have just any cake for my wedding cake either. 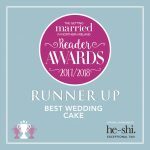 I met Gemma & John from Gemma’s Cakes at a wedding fair and having tasted the samples I just fell in love with their cake. 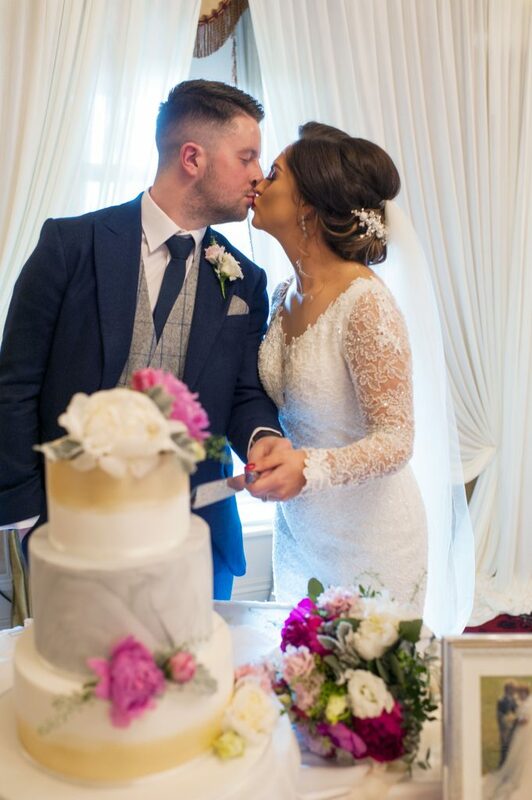 I wanted to ensure my guests could enjoy delicious cake and Gemma & John made sure of that. It looked amazing too. Tell me about the dress? 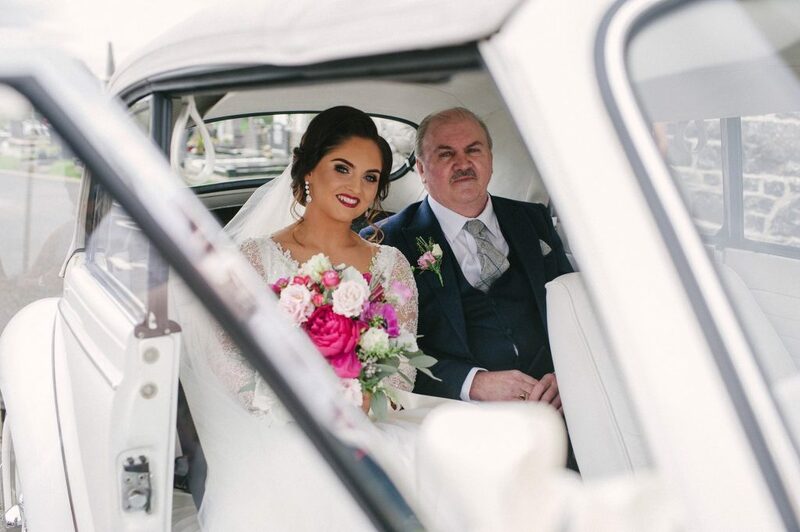 The dress was from Marie Therese Bridal in Coleraine – Riki Dalal. I went for a nosey one day with no intention of buying a dress as I had originally planned to have my dress made by a dressmaker. However, I fell in love with my dress that day and knew it was the one! Despite that, I had a love/hate relationship with my dress. Regretting the dress I had picked, did I pick it too soon, was there a nicer dress out there for me? The usual thoughts that go through a bride’s mind. However, on the day of the wedding I fell in love with my dress all over again! Roisin from The Sewing Box in Magherafelt altered my dress to perfection and it fitted my perfectly. My bridesmaid’s dresses were from ASOS and they were Embellished by Prim & Penny. Do you have any tips you would give to future brides and grooms? 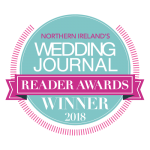 Thank you to Cathy for taking the time to help with this blog, I think we will all agree she was a stunning bride and they are a gorgeous couple!